It’s a dream come true, you can make your own marshmallow! In a single weekend afternoon, transform your kitchen into a sugar workshop, creating treats for yourself and, if there are children around you, ensure your lasting and unwavering popularity among them. Variation: To make a different flavor marshmallow, replace the blackberry purée with strawberry, raspberry or red currant. 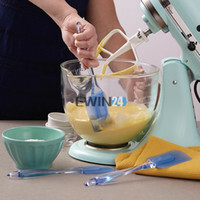 Pour the water into the bowl of a stand mixer fitted with a whisk attachment. Sprinkle the gelatin on top, set aside while you prepare the syrup. In a medium saucepan, combine the sugar, maple syrup, and blackberry purée, and cook over medium-high heat, stirring occasionally, until the mixture registers 240F on a candy thermometer. Add the hot mixture to the gelatin and beat on high speed until thick and fluffy, about 10 minutes. Add vanilla extract and mix until combined. Using a lightly oiled spatula, scrape the mixture into the prepared pan and smooth out the top. Set aside to cool at room temperature for 5 hours or overnight. Combine the confectioners' sugar and potato starch in a small bowl. When the marshmallow mixture has cooled, sprinkle a clean work surface with two-thirds of the starch mixture. Turn the marshmallow out onto the work surface and cut into 1-inch cubes. Toss the cubes of marshmallow with a remaining starch mixture to prevent them from sticking together. Dust with your favorite spice if you like and serve with a cup of hot cocoa. Marshmallows will keep in an airtight container for up to 5 days. If you like your marshmallow to dry a little more, leave them on a tray for a day then pack them in an airtight container. Currant Popsicles, they are Beautiful & Delicious! These look really great! I love that you used maple syrup instead of corn syrup. I am saving this for future reference. Thanks for sharing! Beautiful and extremely tempting! It is good to see a recipe that doesn't contain corn syrup. I'll have to try it. I know..I have made with corn syrup.. Such a lovely recipe, Yelena. Something to try next weekend! These would make a nice treat for Valentine's day. It's interesting how you subbed maple syrup for corn syrup. i just made these and they were nice but SO overly sweet :(, is it possible to half the sugar or will that compromise the texture? Sian, you can experiment with the recipe, but I have a feeling it's not going to work with less sugar. Let me know if you try it!